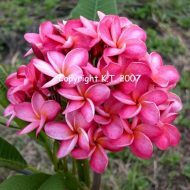 Home	> Shop	> Plumeria	> From Thailand	> Orange 60- AKA ‘Mai Tai’- VERY COMPACT! 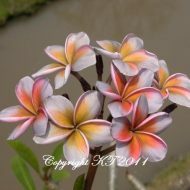 Orange 60- AKA ‘Mai Tai’- VERY COMPACT! 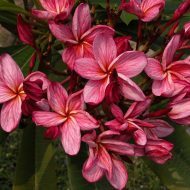 A great Thai orange variety that is extremely compact/short growing–almost enough to be considered a DWARF! 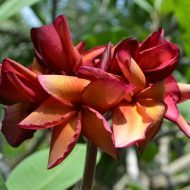 Our specimen is almost 10 years old and still only about 5 feet tall! 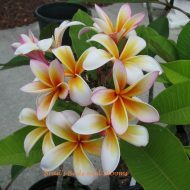 Plant spreads out more that adding height with nice branching habit. 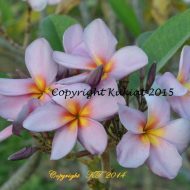 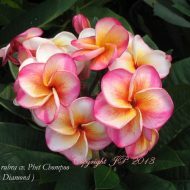 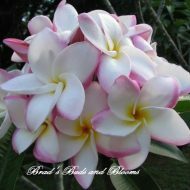 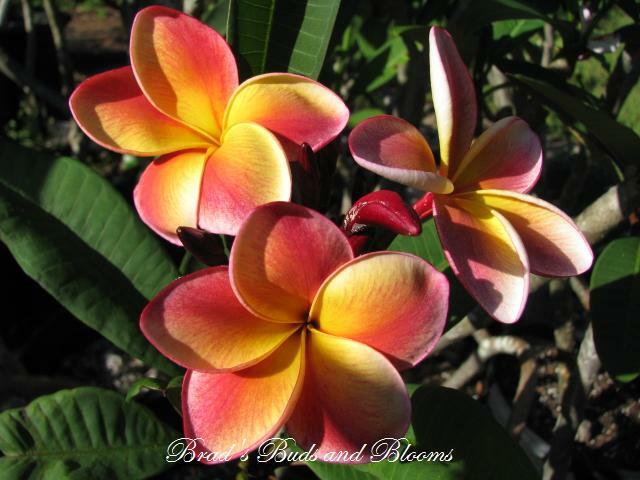 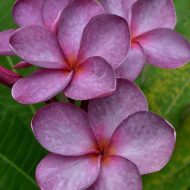 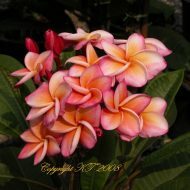 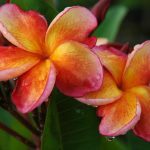 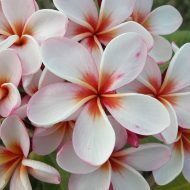 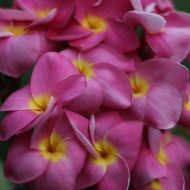 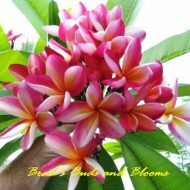 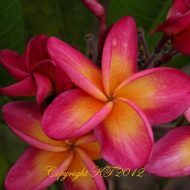 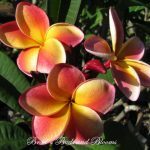 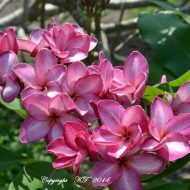 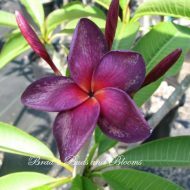 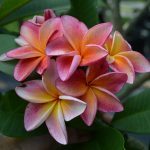 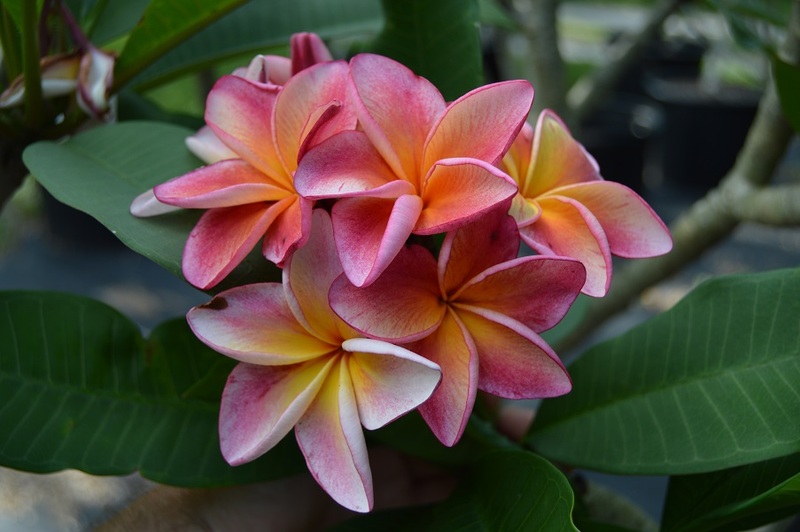 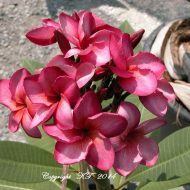 This pretty plumeria produces 3.0”-3.5” flowers of orange, yellow, white and maroon with golden orange throat. 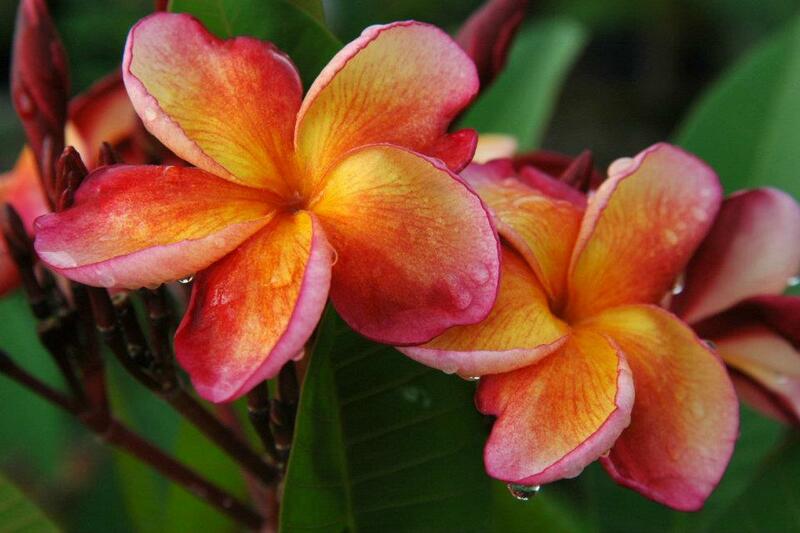 With intense heat, more bright orange will be present (See pictures provided for contrast). 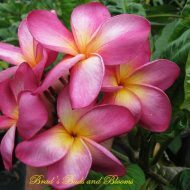 The blooms appear in large bouquets with many flowers. 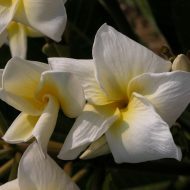 The perfume is fresh and sweet. 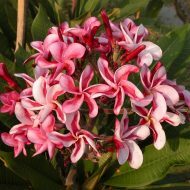 These flowers have conspicuous red striations and veining. 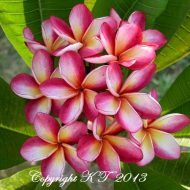 The red hues intensify with heat and sunlight. 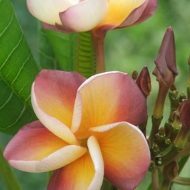 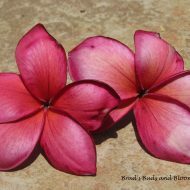 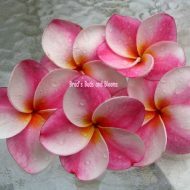 Simply a must-have for any plumeria lover! 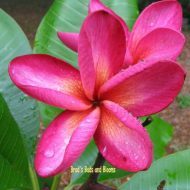 Rooted and grafted plants available ranging in size from 9-14″(measured from the soil line).